It was another wild week of WWE programming that teased many of the matchups for TLC. Although nothing has been given away or alluded to just yet, several superstars are leading the pack. 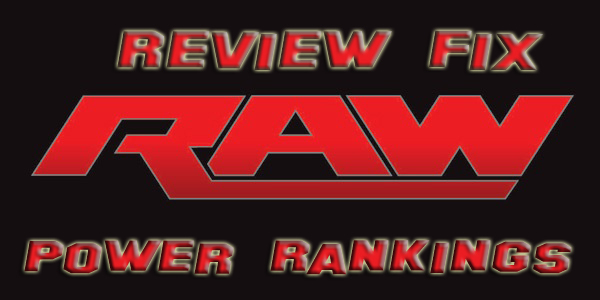 Check out our weekly RAW power rankings to see who the alpha males are. 5: Ryback: Sure, he opened up the show against a tag team wrestler in the massive Titus O’Neill, but it was another convincing win. It was all power, all routine. The fact that he’s got another title shot at TLC also ensures that his current push continues for the short-term. 4: Daniel Bryan & Kane: The two sparkled in singles action and continued their antics behind the curtain. Although the act continues to get old, WWE creative keeps the drama fun and fresh as it can be. All these guys need is some competition in the tag team division and they’d be set. 3: Dolph Ziggler: WWE Creative continues to prove they have no idea how to use him. His claim that AJ Lee had a thing for him was pure lunacy. It was the type of angle that wouldn’t have worked on a High School handball court. Regardless, Ziggler continues to show the world he is one of the best workers in the company today. 2: Antonio Cesaro: Real wrestling fans know that Cesaro can hold his own with Sheamus, but to see it actually happen on WWE programming proves that he will stay in the upper-mid-card for the foreseeable future. He has arrived. 1: Dean Ambrose, Seth Rollins and Roman Reigns: These guys cut a damn good promo Monday night. They set the scene for their current run. It was short and sweet. That’s all they needed.